What is the Data Center Tier System? What is the Tier System? • Tier I Basic Capacity data centers have a single path of power using an uninterruptable power supply (UPS) to handle short outages, dedicated cooling systems, and engine generators for extended outages. A Tier I data center must have its own dedicated space, as well as, a dedicated site infrastructure for IT support outside of the office. Tier I data centers offer no redundancy. • Tier II Redundant Component data centers, like Tier I data centers, they have a single path for power and cooling distribution and add redundancy, using equipment such as UPS modules, chillers or pumps, and engine generators which protect it from interruptions in IT processes. • Tier III Concurrently Maintainable data centers have redundant components and multiple distribution paths to allow for no shut downs for maintenance, repair or replacement of equipment. Tier III data centers have active power and cooling distribution paths with dual corded IT equipment. • Tier IV Fault Tolerant data centers offer multiple power and cooling distribution paths with autonomous response to failure. Tier IV data centers are self-healing in the case of faults, are compartmentalized to limit impacts of a single major fault and have Continuous Cooling for the transition from utility power to engine generators. Like Tier III data centers, IT equipment is dual corded, so that in the event of equipment failure, IT operations would not be interrupted. 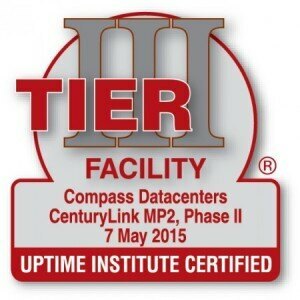 We asked industry experts, Keith Klesner, SVP, North America at Uptime Institute, and Jose Ruiz, VP of Operations at Compass Data Centers about Uptime Institute’s Tier classification system and certification. How Do I Choose Which Tier Fits My Business Model? What are the Costs of Not Having a Properly “Tiered” Facility? Why a Company Should Get Certified? What Does the Industry Have to Say About the Standard? This entry was posted on Monday, June 6th, 2016 at 12:53 pm	and is filed under Uncategorized. You can follow any responses to this entry through the RSS 2.0 feed. You can skip to the end and leave a response. Pinging is currently not allowed.